The Newry Road. Credit: Google. 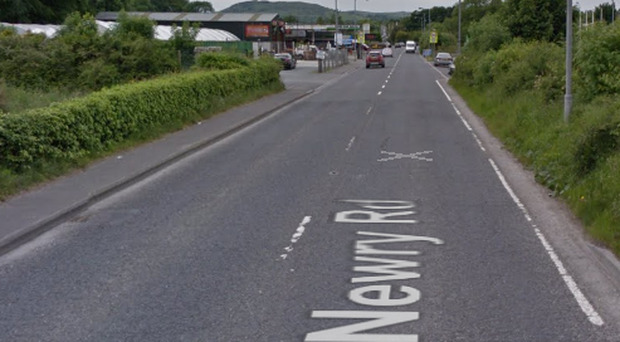 A number of vehicles were set alight in a suspected arson attack at a commercial premises in Newry on Monday night. Police received a report of a fire at premises on Newry Road shortly after 11:10pm. It was reported entry to the premises had been forced and a number of vehicles inside had been set alight. The vehicles inside the premises were completely destroyed and a building situated nearby sustained damage as a result of the blaze. Detective Sergeant Darragh appealed for anyone with information to come forward. "I want to appeal to anyone who was in the area last night and saw what happened, or who saw any suspicious activity to contact police/detectives in Ardmore on the non emergency number 101, quoting reference number 1691 of 18/03/19," he said.